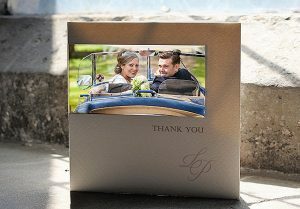 Your photograph will naturally suit either a portrait or a landscape design – we can try both when we create your free layout if you aren’t sure. 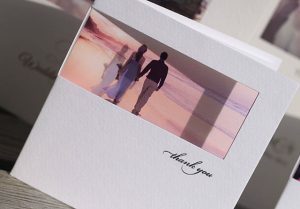 Then it’s just a matter of what size of card and the font selection. 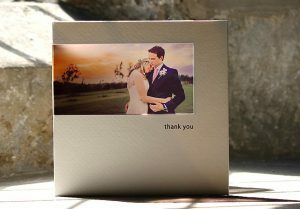 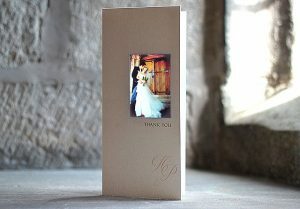 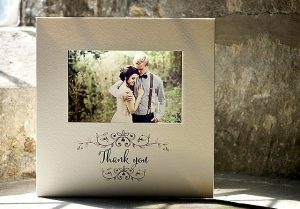 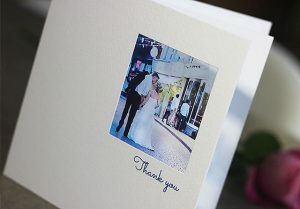 If you would like to match your thank you cards to the rest of your wedding stationery just let us know. 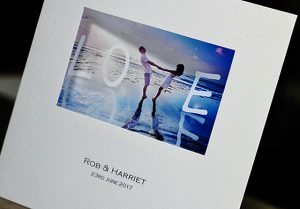 We can design a personal monogram using your initials or you may have your own ideas to make the cards even more personalised. 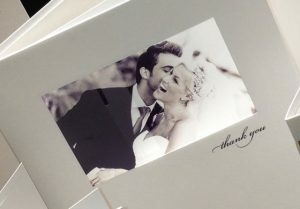 We are here to help so just let us know!